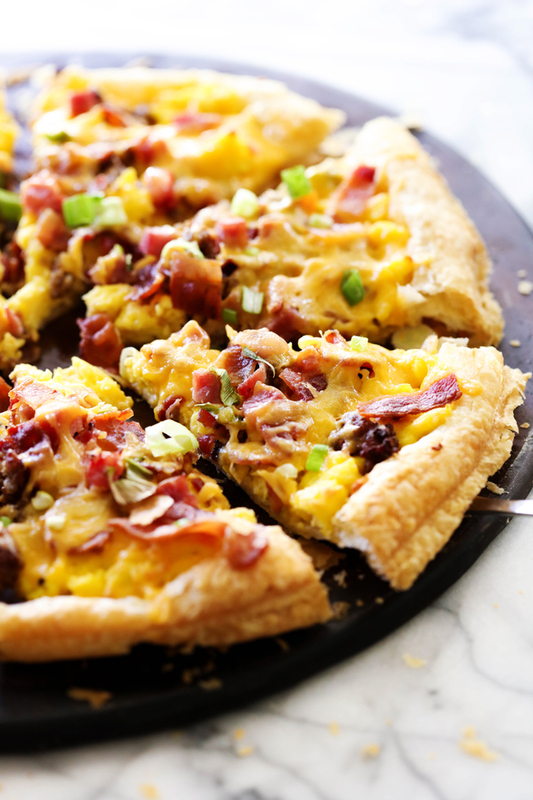 This Puff Pastry Breakfast Pizza is SO easy to make and is such a crowd pleaser! 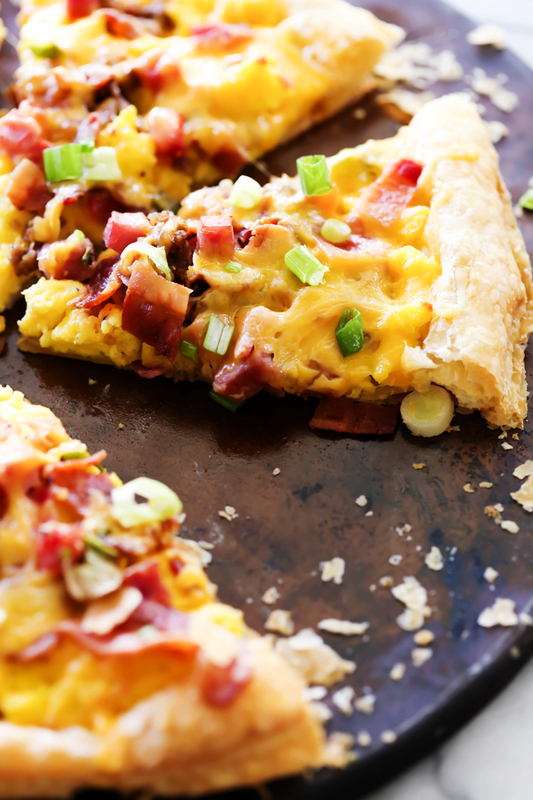 It has everything you love about breakfast topped on a delicious buttery flaky crust! Life has been absolutely CRAZY at my house. My kids are each involved in at least 2 extra activities besides school and I am running around everywhere. Most days we have cereal for breakfast because there is absolutely NO TIME but sometimes I like to change things up and this Puff Pastry Breakfast Pizza was the PERFECT way to do that! 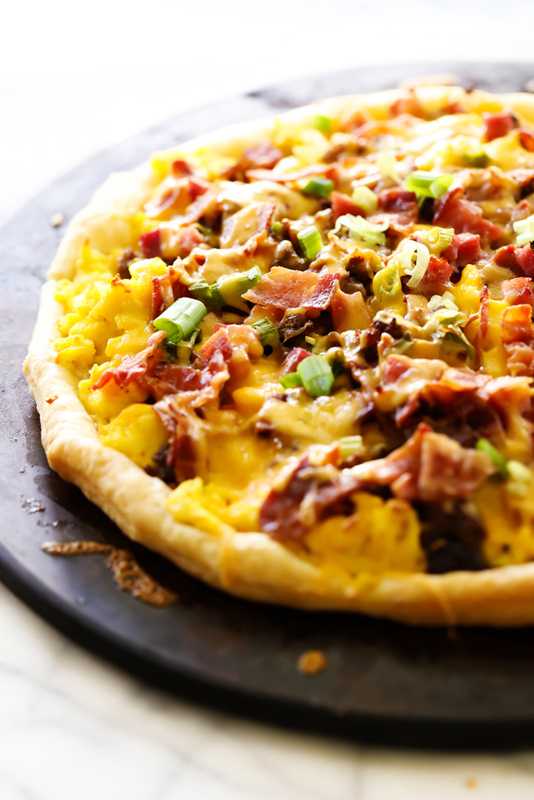 Everything you love about breakfast comes together in this delicious and simple pizza. My family went absolutely nuts over it and devoured it quickly. My favorite part is the puff pastry crust. Puff pastry has a buttery and flaky flavor and texture and it paired perfectly with all the yummy breakfast toppings. 1 sheet of puff pastry, thawed and at room temp. Place pastry sheet on pizza stone and shape into a circle. I just fold the corners in and stretch the dough out a bit. In a large mixing bowl, add eggs, cream, mustard, salt and pepper. Mix well and pour into a skillet and cook half way stirring with a spatula. Add 1 cup of the cheese and finish cooking until eggs are cooked and beautifully scrambled. Spoon over pastry dough. Sprinkle bacon, sausage, ham, and green onions over eggs. Cook for 20 to 25 minutes at 375 degrees F until dough is golden brown. Remove from oven and sprinkle remaining cheese over the top and return for another 2 minutes until cheese is melted.